The Board of Directors of Chicago-based Covenant Retirement Communities (CRC), owner and operator of 14 senior living communities nationwide, has named Terri Cunliffe as its CEO, effective June 1, 2015. Cunliffe, who has served as CRC’s chief operating officer since 2010 and has been part of the organization for more than 25 years, succeeds current CEO Rick Fisk. Beginning her career as a nursing home part-time receptionist, Cunliffe has held a series of progressive leadership roles within CRC, including nursing home administrator and executive director at Covenant Village of Florida. As CRC’s senior vice president of health and wellness and executive vice president of operations, Cunliffe effected change by developing and implementing the company’s LifeConnect approach to whole-person wellness. The program enables CRC to connect residents with resources and opportunities to help them fulfill their needs, interests and goals through educational and cultural programming, on- and off-campus activities and excursions. While serving as COO, Cunliffe developed the organization’s new customer service and hospitality platform, “We Believe.” The platform, which is currently being implemented across CRC’s 14 communities, focuses on enhancing customer service and resident relations by focusing on individuality, hospitality, congeniality and spirituality. A licensed nursing home administrator in the state of Florida, Cunliffe has been an active leader in LeadingAge Florida, formerly known as the Florida Association of Homes and Services for the Aging, since 1995. She was named FAHSA Executive of the Year in 1999, received its chairman’s award in 2005 and was the organizations’ chair from 2009-2011. Omega Communities, LLC, a developer and operator of senior living communities, recently announced that its Board of Directors has appointed Joel Anderson as Omega’s chief financial officer and also chief operating officer for Omega Communities of Florida. Anderson has more than 22 years of experience in operating senior living communities and a proven track record of success across the full continuum. Prior to joining Omega, he was the vice president of Lee Healthcare Resources, a nonprofit support organization of Lee Memorial Health System, where he was responsible for both the operations and financial oversight of a group of companies including Cypress Cove at HealthPark Florida, an upscale continuing care retirement community (CCRC) in Fort Myers. Anderson also has held executive positions with other organizations serving in operations, finance and strategic planning. Notably, he was appointed by Governor Rick Scott to Florida’s Continuing Care Advisory Council in 2013. He also most recently served as a member of the board of trustees for LeadingAge Florida. Carmel, Indiana-based Mainstreet, the nation’s largest developer of post-acute health care properties, has added a new member to its award-winning team. Amy Lucas has joined the company as an administrative assistant. Previously, she served as an executive assistant and an associate consultant at Collins Circulation Group. Rockville, Maryland-based Ingleside at King Farm, one of three not-for-profit Ingleside communities in the Washington, D.C. metropolitan area, has announced the promotion of Frank Romonoski to general manager. In his new role, Romonoski will be responsible for plant operations and maintenance, and environmental services. “In addition to Frank’s familiarity with our residents, his proven ability to manage large teams and our complex dining service system make him the perfect fit for this new position,” said Marilyn Leist, executive director at Ingleside at King Farm. In his previous role, Romonoski managed all dining services for Ingleside at King Farm residents. He has had more than 25 years of experience in the CCRC industry. Daniel J. O’Connor has been named chief operating officer for Ohio Presbyterian Retirement Services (OPRS). O’Connor’s appointment is part of a restructuring to better serve seniors’ current and future needs in Ohio and throughout the nation. In his role as COO, he is responsible for the organization’s 12 CCRCs and for its Senior Independence Home Health and Hospice subsidiary. O’Connor has more than 30 years of experience in the aging services field and has held leadership positions at OPRS for 25 years. He began his career in aging services as a licensed nursing home administrator and was the regional director of operations for a for-profit nursing home company before joining OPRS. He joined OPRS in 1990, serving as the executive director of Dorothy Love Retirement Community in Sidney, Ohio, until his appointment to a new role at the OPRS corporate office in 2006, where he has been responsible for the leadership, strategic planning, and financial and operational results of the 12 CCRCs which serve more than 6,500 people. O’Connor is a board member for LeadingAge Ohio and Linkage, a volunteer evaluator for the Commission on Accreditation of Rehabilitation Facilities (CARF) – Continuing Care Accreditation Commission (CCAC) of LeadingAge and was the 2010 recipient of the W. Fred Cottrell Distinguished Alumni Award from Miami University. He is a former college and professional (minor league) baseball player. Charlottesville, Virginia-based Commonwealth Assisted Living (CAL) announced recently that it has hired several new senior level members. Bernadette Cavis, vice president of resident programs: Cavis has more than 20 years of experience in the senior living industry. Most recently she was the president of Memory Care Methods in Florida where she provided dementia care consulting services to assisted living companies throughout the state. In her role in the newly formed position of vice president of resident programs, she will be responsible for designing and facilitating a “life enrichment” program that meets the needs of all residents. She will also act as the primary resource for community activity directors and supervise the regional memory care directors. Cavis is a Certified Dementia Trainer. Ed Corbeil, vice president of operations: Corbeil is a 16-year veteran of the senior living industry. He joins CAL from Blue Harbor Senior Living where he was the regional director of operations overseeing the leadership of multiple assisted living communities in New Hampshire, Pennsylvania, Tennessee and Florida. In his new role, Corbeil will be managing the hands-on operational aspects of all of CAL’s communities including financial performance, overseeing the standards of operation, and improving service standards. Erika Gennari, director of marketing and communications: Gennari has more than 10 years of experience in sales, public relations and advertising. Prior to joining CAL, she was the marketing coordinator for the Charlottesville Free Clinic. In her role as director of marketing and communications, she will be responsible for the planning, development and implementation of CAL’s marketing strategies, marketing communications, and public relations activities. Paula Harder, regional director of resident programs: Harder joins CAL with 25 years of experience working in long-term care. Prior to joining the company, she was director of recreational therapy, volunteer coordinator, and LEAN trainer at Bayshore Healthcare Center in Minnesota. In her new role, she will be working with the vice president of resident programs to ensure residents remain healthy and active for as long as possible. She will also work with hospital personnel, physicians, community organizations and other health-related service agencies to provide care to residents. Ashley Showalter, vice president of risk management: Showalter has eight years of experience working in the insurance and risk advisory field. Her most recent position was with W.D. Campbell Insurance where she was a commercial risk advisor. In her role in the newly formed position of vice president of risk management, Showalter will provide effective strategies to preserve the resources of the company by identifying, evaluating and eliminating practices and/or situations which pose potential or actual harm to residents, visitors and employees. The Goodman Group, a developer and manager of senior living and health care communities, recently announced the appointment of Brad Marburger as national director for Platinum Career Solutions, a national recruitment and placement company developed by The Goodman Group. 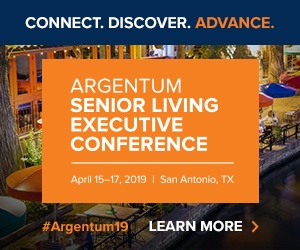 Marburger is responsible to help develop, market and manage the recruitment and placement company, and will focus on sourcing and placing health care and hospitality employees in the company’s managed senior living and health care communities. He is based at the company’s headquarters in Chaska, Minn. Most recently, Marburger was vice president of Staffing Solutions for Interim HealthCare Staffing Solutions in Bloomington, Minn. Prior to this, he was a staffing consultant for The Hartford, one of the oldest and largest insurance companies based in the United States. Before that, he was a branch manager for Medical Staffing Network in Bloomington, Minn.
Marburger transitioned his career into recruitment in 1997 as a recruitment specialist for Clinical One Healthcare in Wakefield, Mass., now operating as a Randstad company. Tega Cay, South Carolina-based Wellmore has announced the hire of Rusty Yaple as director of facility services. In his new role, Yaple will play an integral role in maintaining the new luxury community. He will oversee the maintenance and housekeeping personnel and help with various departmental projects. He will also organize and direct all aspects of the campus’ services including short term, scheduled, preventive and emergency maintenance for equipment, buildings and grounds of the community. Yaple is an experienced maintenance professional. He most recently served as maintenance supervisor for Saint Mary’s Home of Erie in Erie, Pa., where he managed the daily operations of three campuses. In total he worked for Saint Mary’s for 15 years starting as a maintenance technician and growing in roles within the company. Greenville, South Carolina-based Cascades Verdae has announced the promotion of Mia Greer to director of healthcare marketing. In her new role, Greer will plan, organize and direct the leasing and admission activities such as coordinating move-ins and plan all health care marketing events. Additionally, she will be an active member in the local community, building and cultivating relationships with local hospitals, practices and organizations. Greer has been with Cascades Verdae since graduating college in May 2014. Prior to her promotion, she served as business services manager for Live Long Well Care at Cascades Verdae, a private duty in-home care service provider. Palm Beach Gardens, Florida-based Devonshire at PGA National, an Erickson Living retirement community, has announced that Jorge Lopez has recently joined the community as the new executive chef. As the executive chef at Devonshire, Lopez will oversee the culinary production at the community’s five dining venues. These venues provide daily service of breakfast, lunch and dinner, Sunday brunch, and operations for resident events and banquets. At Devonshire, Lopez will manage a dedicated staff of 25 chefs and five kitchen stewards. With more than 60 employees in total, the culinary staff comprises the largest team at the community. Lopez brings nearly 20 years of culinary and event management experience to Devonshire. He joins the community from the Stroudsmoor Country Inn located in Stroudsburg, Pa., where he managed all aspects of culinary production for the large-scale event venue. Prior to that position, he was the executive chef and food and beverage director for the Bushkill Inn and Conference Center in Bushkill, Pa., where he oversaw the venue’s culinary operations and managed 40 employees. Lopez also previously worked as the corporate executive chef for the Columbia Sussex Corporation in Crestview Hills, Ky., and as an executive chef and executive sous chef at various hospitality venues in Las Vegas, Nev.